Fashion from Germany should be considered as more of a cultural and economic asset in the public eye. This encouraged the founders of the Fashion Council Germany, FCG, to call this representation of interest of the German fashion industry into existence. The FCG is based in Berlin and supports talented young artists of design, pursues aimed lobbying and is considered as a contact point for politics, media, culture and industry. The Fashion Council Germany also offers numerous events for the fashion interested specialist audience. On Monday, the 14th of January, it all starts off with the closure of FCG and H&M‘s two-year fellowship program 2017/2018. Within the frame of January 2017 until December 2018, a variety of workshops and seminars took place. These workshops and seminars were a vital part of the program and discussed valuable topics, such as “Leadership & Self Discovery“, “Theoretical Skills & Supply Chain“ and “From Idea to Realization”. Thanks to the partnership with H&M, the participants of the program had the possibility to view behind the scenes of a globally operating textile company. Collectively, throughout the duration of the program, H&M and FCG supported young designers, such as Horror Vacui, Steinrohner, Tim Labenda and William Fan. This was done so that these designers could compete with their competitors in January 2017. The program helped the young talents create a meaningful business plan or offered a professional placement of their collections on the market, as well as an expansion of their brand. Fireside Chats by FCG encourages an exchange of ideas, as well as networking. Fireside Chats have already taken place in multiple venues and are typically considered as a series of dinner events, designed for a relaxed exchange between designers and representatives of the German fashion industry. These events, by the Fashion Council Germany, form the German fashion landscape. The highlight of the Fireside Chats is: The announcement of the winners of the FCG German Sustain Concept. This program revolves around the encouragement of sustainable engagements and young artists. The concept was called into existence by FCG and their partners Bikini Berlin, showroom.de and Neonyt, the green showroom of the so called Messe Frankfurt. For a period of two years, three young talents within the field of sustainable fashion are to be supported in the categories of sourcing, distribution and marketing. On Tuesday it is time to assess what has been achieved to date. What is the current stand within the fashion business? Paneltalks, brunches and open discussions will take place on Tuesday at the State-of-Fashion-2019-Presentation. Realizations made from a collective report by McKinsey & Company and The Business of Fashion, will be presented by Dr. Achim Berg, Senior Partner and global leader at McKinsey & Company, and Nick Blunden, the Chief Commercial Officer at The Business of Fashion. The State-of-Fashion-Presentation is organized by the cooperation of the Fashion Council Germany, McKinsey & Company, ICON & The Business of Fashion. Overall, eight organizations from seven EU states – also considering the Fashion Council Germany, for Germany – take part in the United-Fashion-EU-Project. Within the frame of the program, the international exchange between fashion expertise will be supported for an entirety of three years. 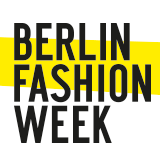 At the Berlin Fashion Week Autumn/Winter 2019/2020, ten chosen labels, from five different EU countries, will gather in Berlin to present their collections, participate in workshops and to interact with one another, from Monday to Thursday. Further planned guest cities of the United Fashion Program until 2021, are Lille, Lissabon, Antwerp, Brussels and London. The Fashion Council Germany offers a variety of events for the fashion interested specialist audience.